The Brandenburg Concertos are one of the most celebrated and captivating compositions by Johann Sebastian Bach. Paced with bracing athletic vigor and featuring some of the most beautiful and challenging counterpoint – surpassed perhaps only by The Art of the Fugue these six baroque masterpieces still send the mind into a beautiful tizzy and the body with their ability to stir the depths of the soulful human being. 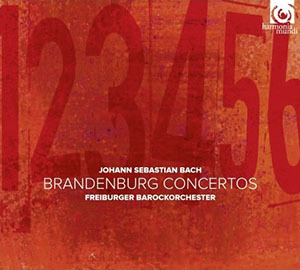 But the Brandenburgs feature all of Bach’s mastery as a composer: his unparalleled technique, his harmonic sense – frightening in its power, expression and ingenuity. And greatest of all, his vision. The six concertos were completed in 1721, three whole years after Bach met with his patron, Christian Ludwig, Margrave of Brandenburg. But they were only re-discovered after Bach’s death, on April 20, 1849, by the curator of the Royal Library in Berlin, Siegfried Wilhelm Dehn and awoken like the proverbial Sleeping Beauty thereafter for connoisseurs of great music to admire.. There are many versions played in the modern era, rendered on modern instruments, such as the masterly version by Herbert Von Karajan, conducting the Berlin Philharmonic Orchestra, and also other versions played on the instruments of Bach’s day. This exquisite version by the Freiburger Barokorchester is one of the finest. Spiritedly and authentically read, ostensibly from Bach’s original text, the six concerti grossi came alive all over again with all the wonders of Bach’s motifs, complete with challenging twists and turns, and by some enviable virtuoso performances such as Sebastian Wenand’s vaunted turn on the harpsichord, in Concerto No. 5 (BMV 1050), in the cadenza at the end of the first, allegro movement. 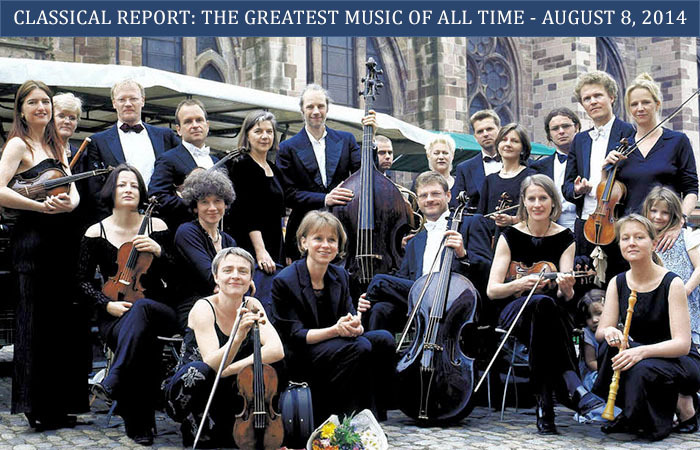 However, it is the spirited and brilliant overall performance of the Freiburger Barokorchester that is commanding and enduring; this from an ensemble that is fast becoming – or may have already become – known as one of the most fascinating performers of the great repertory of Johann Sebastian Bach.